Are you looking for a rental apartment in Bordeaux? Study’O is made for you, we offer fully equipped turnkey student accommodations. 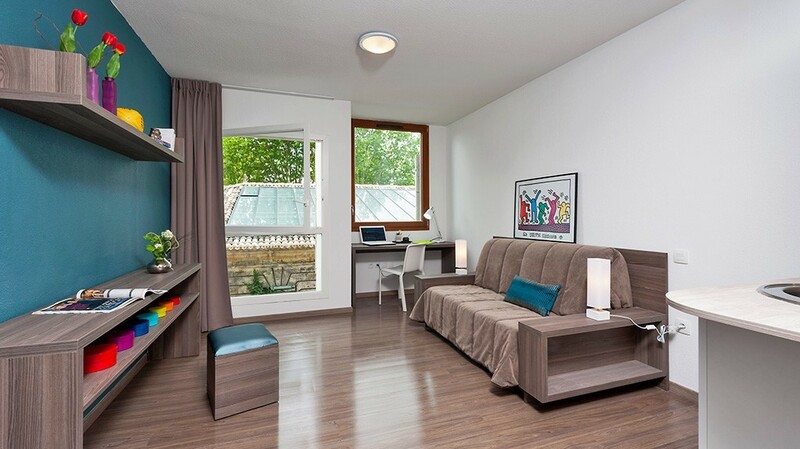 Our residences in Bordeaux are ideally located near schools and universities, very practical. You will have the choice between different rental apartments in Bordeauxor in Talence. Our apartments range from 23 m² to 36.50 m², from €595 to €780 / month. All our accommodations have a fully equipped kitchenette, a sofa bed (140 * 190cm), a desk area, a bathroom with shower and toilet, and a broadband Internet connection, so that you stay connected to everyday life. In our rental apartments in Bordeaux, we have thought of everything to make your studies as pleasant as possible, in fact, we offer various advantages and à la carte services such as rental of linen, self-service laundry, housekeeping, etc. Don’t wait any longer and start now to complete your file on-line so that your arrival in our rental apartment in Bordeaux will happen even faster!